I was tinkering in the kitchen the other night and found myself craving a Healthy Burrito Bowl. I also needed a Paleo Burrito Bowl and Low Carb Burrito Bowl since we’re eating healthier this year. 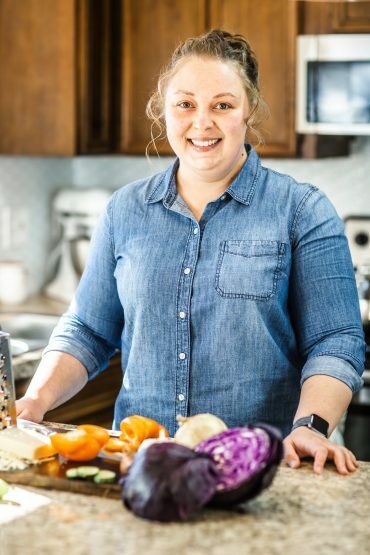 While we’re not eating a strictly Keto diet, our clean eating often leads us to a version of dairy-free Keto. So I put my thinking cap on and went to work creating a recipe that would literally cover every base there was to cover. If you’re craving a healthy burrito and you need it to be Keto, Low Carb, or just Low Calorie, I’ve got you covered! 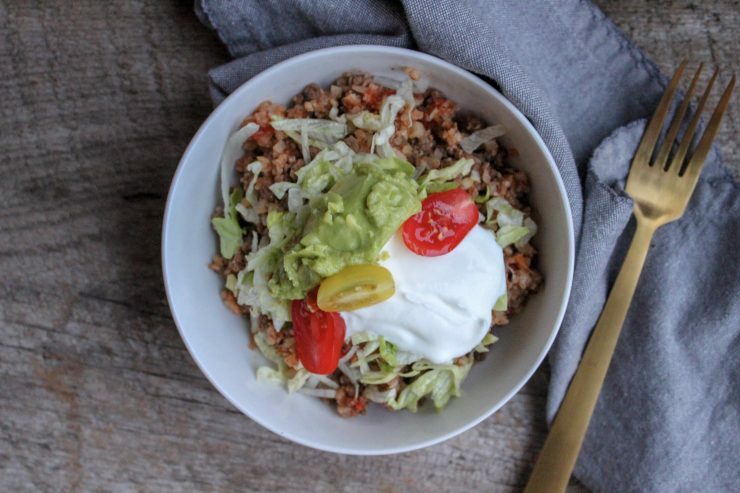 This Healthy Keto Burrito Bowl also makes great left-overs to take with you to lunch the next day! You can eat it topped with any garnish you love, or toss a couple of handfuls of chopped kale or romaine salad in, add a drizzle of Olive Oil Vinaigrette and you’ve got a delicious Taco Salad! I like to add a few slivered almonds to my leftover makeover Keto Taco Salad Bowl for a nice crunch and some extra fat. So yum! You can’t have a good Low Carb Burrito Bowl without some wonderful ingredients. I started out with 1/2 tablespoon Extra Virgin Olive Oil in a large, deep, skillet. Let that oil heat up, then add in 1 tablespoon of dried, minced onion and 1 tablespoon of fresh minced garlic. Go ahead and saute the onion and garlic until it is fragrant and translucent. 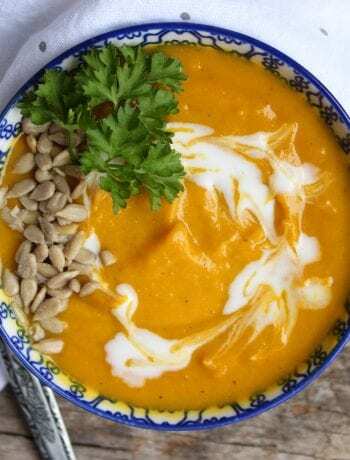 This will give your Keto Burrito Bowls such a wonderful flavor! 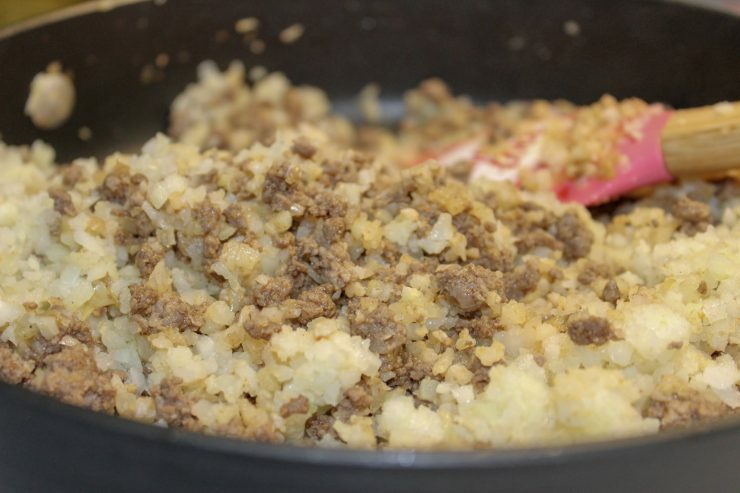 Now that the onion and garlic is cooked, add in 1 pound of 93% lean, grass-fed ground beef. If you don’t have grass-fed ground beef or want to save a little extra money, using regular lean ground beef will also work perfectly. If you really want to cut some calories, you can also add lean ground turkey. Season the meat with 1/4 teaspoon salt, 1/4 teaspoon ground black pepper, 1/2 teaspoon ground cumin, 1/2 teaspoon chili powder, and 1/2 teaspoon paprika. 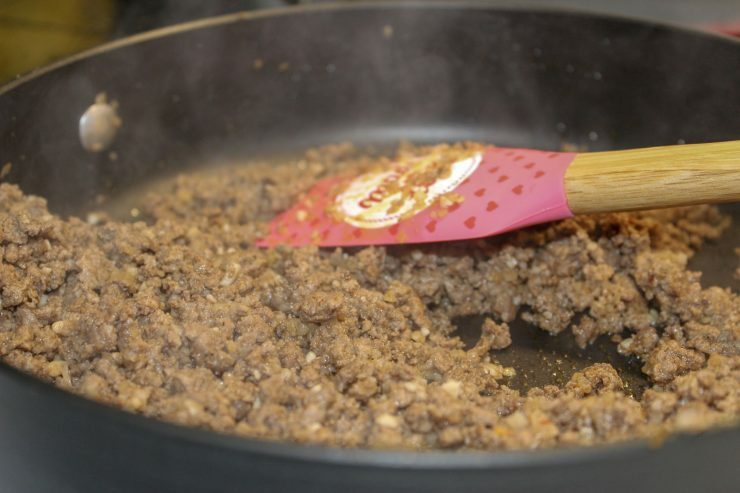 Stir the taco seasonings into the the meat and use a spatula or meat masher to break the meat into fine crumbles. Once the meat is cooked, drain any grease that remains. Now that the meat is cooked and the grease has been removed, it’s time to add your cauliflower rice! I suggest using a frozen, plain, 12 ounce bag of cauliflower rice for an extra fast and easy option. You can thaw the cauliflower rice out first if you have the time and think of it, but if you’re like me and you’re running short on time, just add it to the meat frozen. 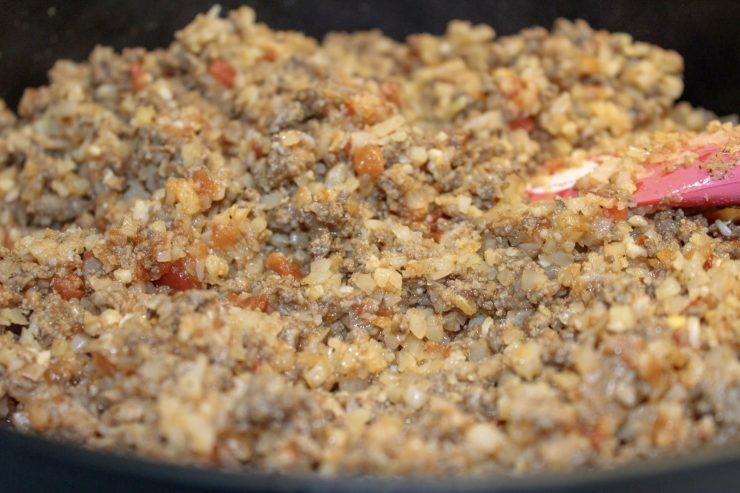 Continue cooking the cauliflower rice and meat mixture on medium heat until the rice is cooked through and warm. 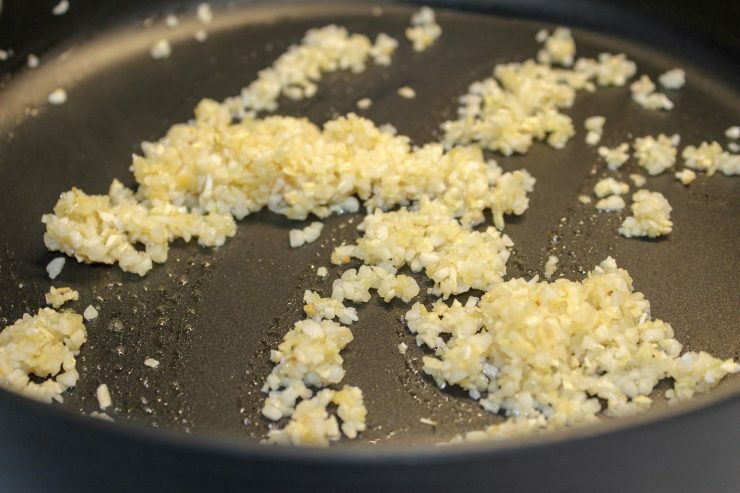 Use your spatula to break up any large, frozen pieces of cauliflower rice. Now that the cauliflower rice is cooked, add in 1 cup of my Blender Salsa. 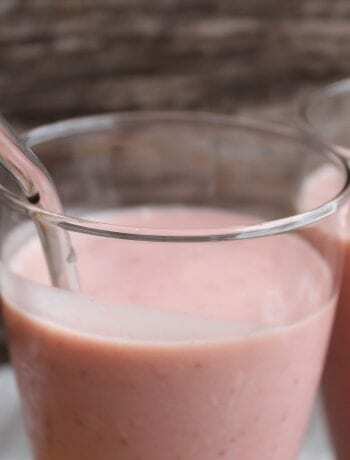 This Blender Salsa is so fast and easy to make – not to mention it contains no sugar or nasty additives. If you don’t have the items on hand to make my Blender Salsa, you can use any brand of salsa – just make sure it doesn’t contain sugar! 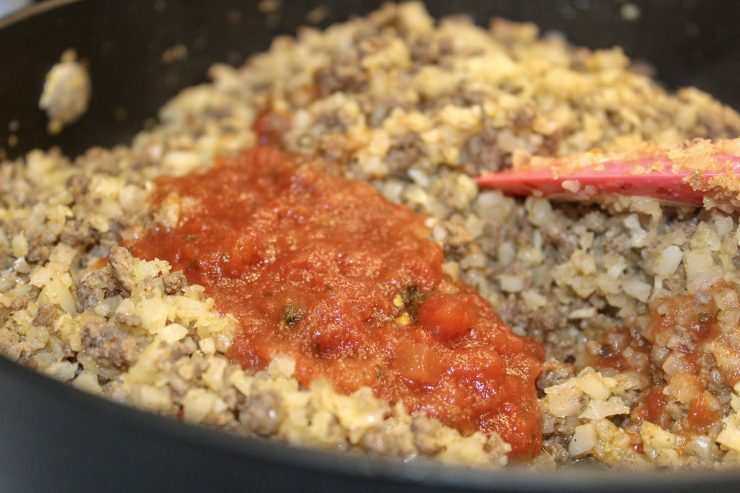 Stir the salsa into the seasoned ground beef and cooked cauliflower rice and remove the skillet from the heat. 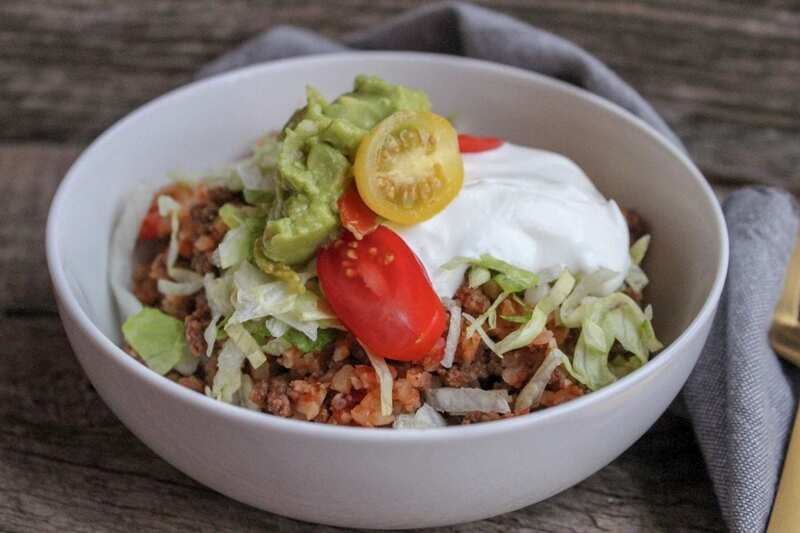 Step back and give yourself a hand, because in just minutes you’ve created a healthy and delicious Keto Burrito Bowl to serve your family – and you didn’t have to stress or spend a lot of time doing it! 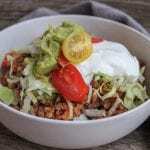 This Keto Burrito Bowl is a meal I love to serve on a busy week-night or a relaxed weekend. The ease in which this meal is prepared makes my time in the kitchen stress-free and my family enjoys getting to customize their Burrito Bowl to their own liking. Trying to figure out some good toppings to offer for this Low Carb Burrito Bowl? Sour cream, plain nonfat Greek yogurt, shredded lettuce, cherry tomatoes, guacamole, diced onion, diced bell pepper, sliced jalapenos, and the list goes on! Check the recipe card below for some more great topping ideas to customize your Keto Burrito Bowl. As always, I want to thank you for being with me in my kitchen today. It’s always a joy and a pleasure to have you here and I invite you to come back and cook with me again! 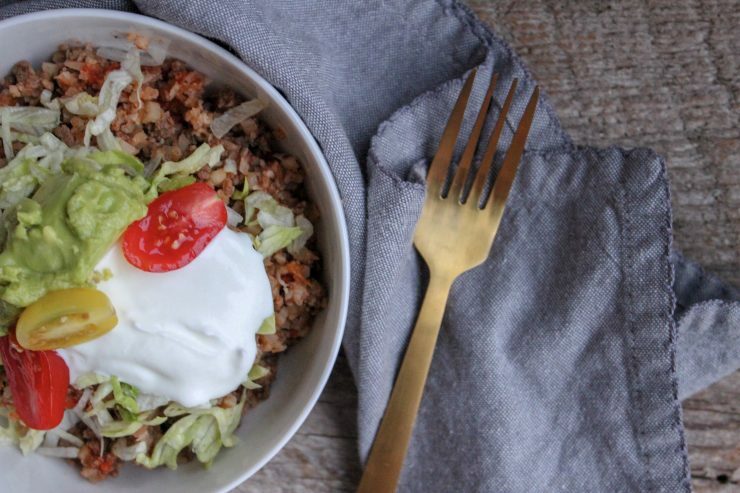 This Low Carb Burrito Bowl will have you doing the happy dance if you're also wanting a Paleo Burrito Bowl or Low Calorie Burrito Bowl. Oh, and did I mention it's fast, easy, and delicious? We covered all of our bases with this one! Place the oil in a large, deep skillet and heat on medium heat until hot. Add the minced onion and minced garlic and saute until fragrant and translucent. 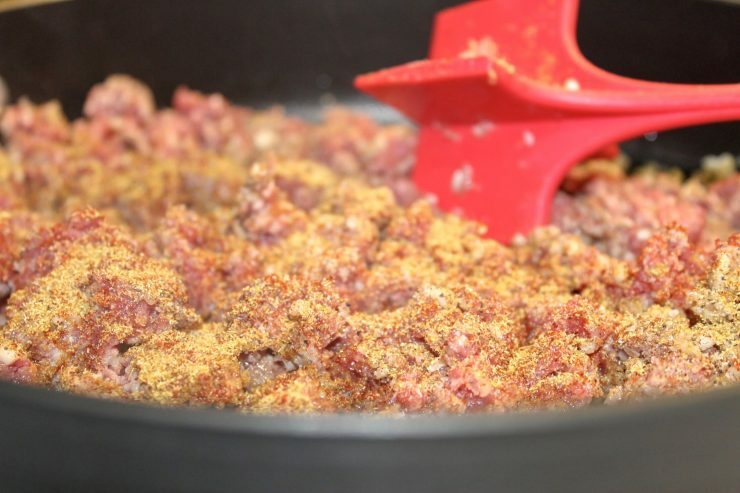 Add the ground beef along with the salt, ground black pepper, cumin, chili powder, and paprika. Once cooked, drain any remaining grease and add in the frozen cauliflower rice. 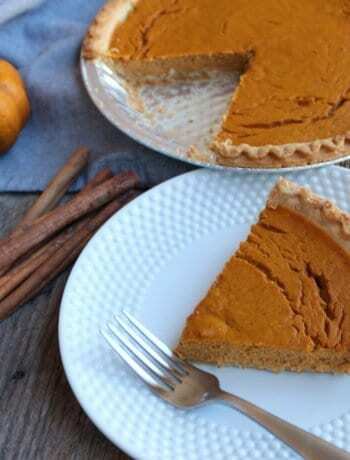 This can be added in frozen or thawed. Stir in the salsa and remove from heat. Serve in a bowl topped with any desired garnishes you prefer. Enjoy! Be sure to factor in additional calories/carbs for any garnishes you add to your Healthy Burrito Bowl! I love burrito bowls – this looks so filling and satisfying – Thanks for sharing at the What’s for Dinner party. Hope the rest of your week is amazing! They’re a favorite around here too! Your burrito bowls look delicious! I’ve only recently discovered that I LOVE cauli rice so I’ll be trying this recipe soon. Thanks so much! If you love cauliflower rice I think you would really enjoy this one! That looks delicious and so filling! Thank you Elizabeth! We really love this meal! This sure looks good Amy, wish it was in front of me right now! Hope you have a great Valentine Week and thanks so much for sharing with us at Full Plate Thursday! Thanks so much! We really love it!